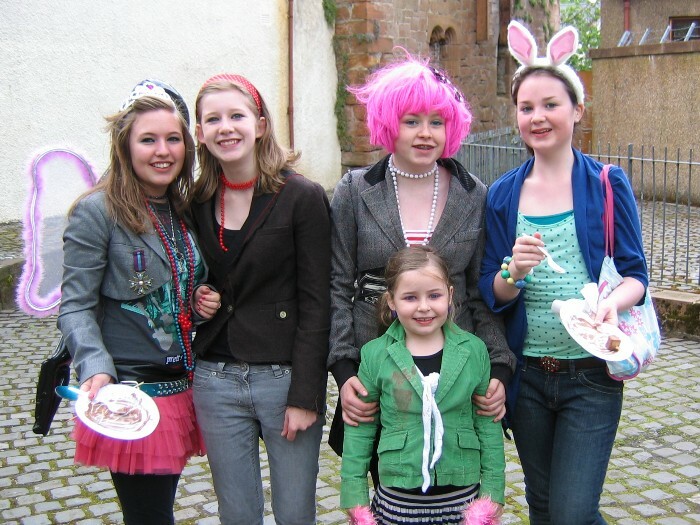 The big family day out in Mauchline! 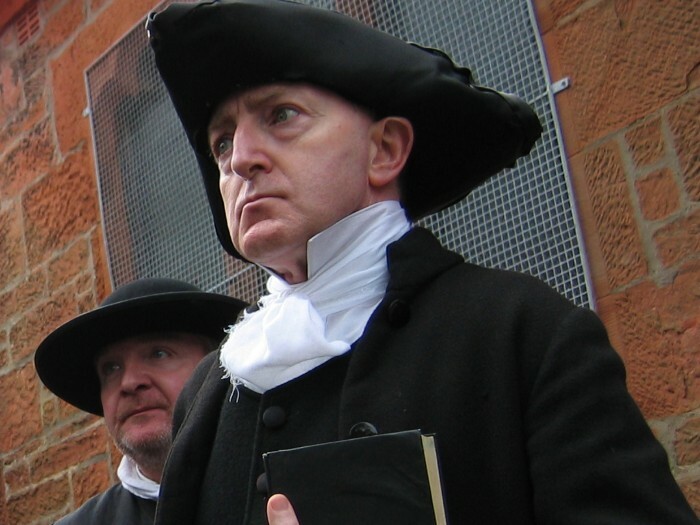 The picturesque village of Mauchline, for one day only, re-enacts the sights, sounds and smells of a historic Holy Fair as Burns would have experienced over 250 years ago. 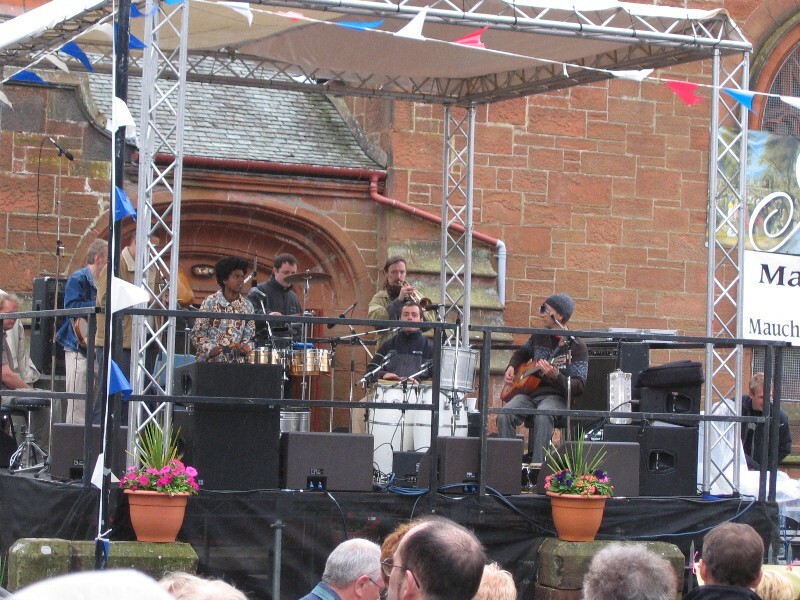 A traditional Holy Fair with a modern day twist features the best in Scottish traditional folk music with live performances from Karen Matheson, Michael Marra and The Audreys. 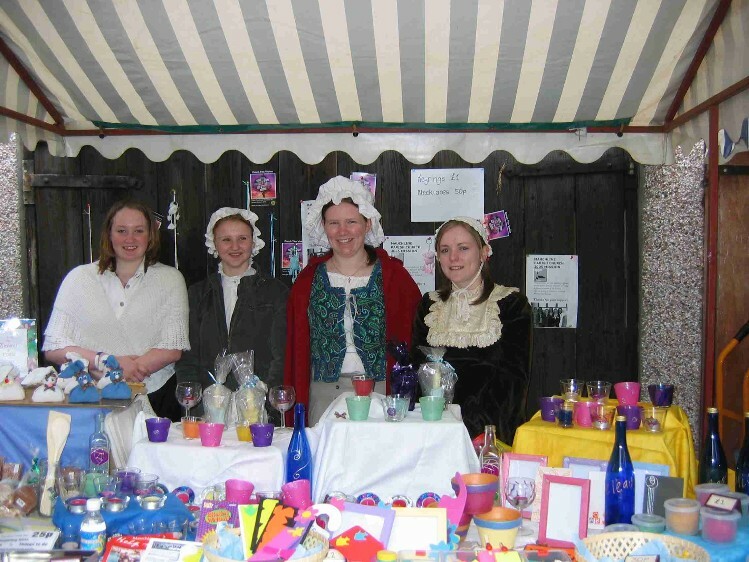 Authentic craft and local produce stalls, falconry, fire eaters, strong men and a host of special events are planned. This free event is not to be missed. 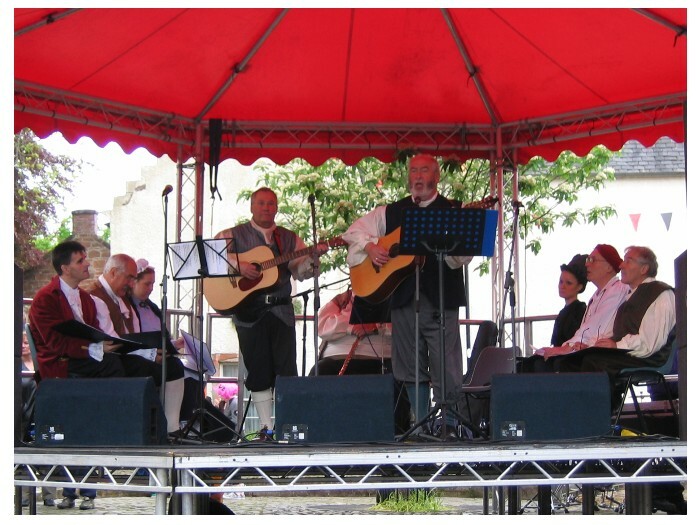 Yes another good day was had by all at this years Holy Fair. Holy Wullie did an excellent job of transporting us into the times of Burns and beyond. The streets were a throng for most of the day with every kind of stall. I was asking these girls what they were dressed up for thinking they were participating in some kind of street event but they told me this is just the way they dress and were out to enjoy their day. The Mauchline Burns Club put on an excellent performance of song and verse from the Bard himself and I had everyone singing along. 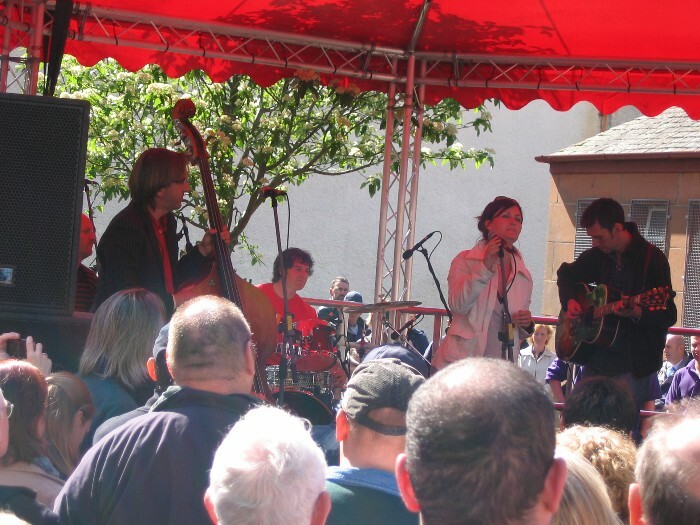 And Karen Matheson's singing was a real treat and her band were A1 top class musicians. Below is my account of last years Holy Fair. 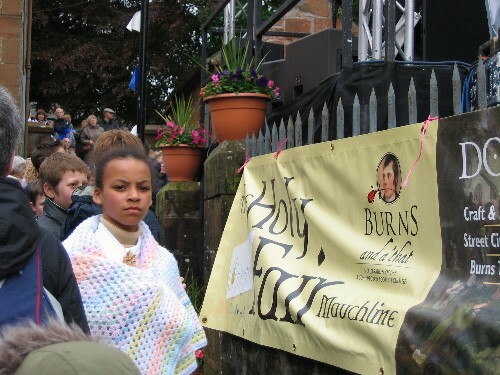 The Mauchline Holy Fair was held on Saturday 28th of May 2005 and although the weather was cold and wet it didn't dampen the spirits of many local participants. This traditional event going back to the time of Burns and beyond was given a new lease of life in the last 2 years and I was very glad to be able to attend. The entertainment was top class and a good day was had by all. There were plenty of local stalls with some very interesting craft work and good food outlets were on offer from teas with filled rolls and soup in the church hall right through to spit roasted pig and cloutie dumpling. The children had plenty to see with an interesting collection of animals from sheep and poultry to snakes and spiders. They were also well entertained by a very professional set of actors dancers and street entertainers with juggling and even fire eating. The event was extraordinarily professionally run and gave a real feeling of worth to the people of a village which has long deserved such attention. 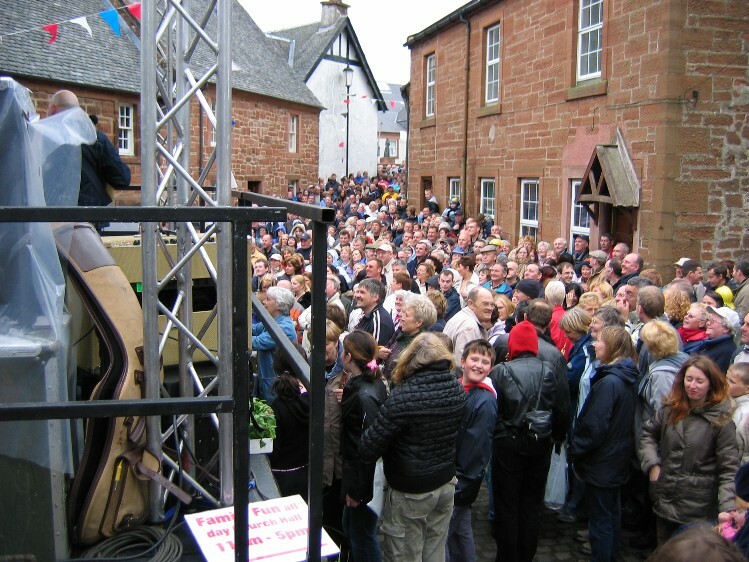 I can say that if Rabbie had been alive today he would have given the organisers his approval. I for one sincerely hope the holy fair is back to stay and will continue to receive such excellent support and I'm sure the people from the area who attended in such numbers in spite of the disappointing weather, had a wonderful day. Hats off to the local community who worked so hard to make this a success and I am already looking forward to the gala day next week. It's wonderful to see Mauchline getting a little attention as it is after all the very heart of Burns land and I sometimes wonder if some of the local councilors have been reading my web pages and taking my advice about promoting the area as well as did our forefathers before us. 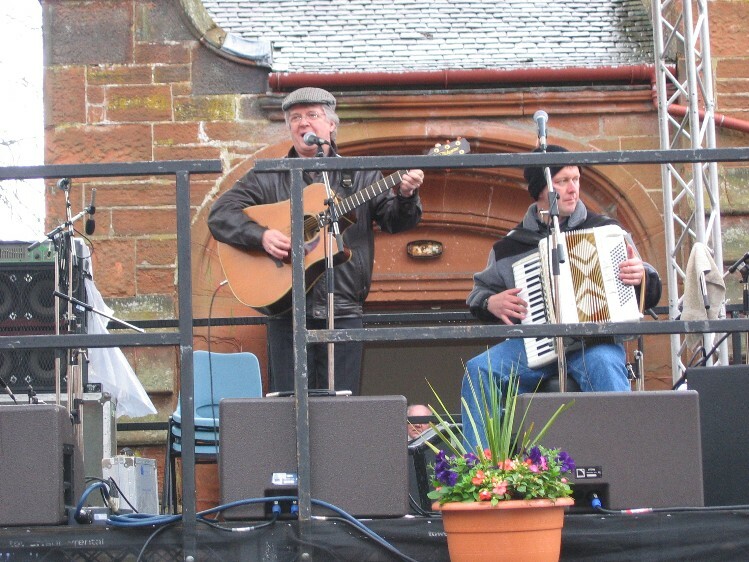 The picture opposite is Scottish folk singer Titch Frier who gave a wonderful performance of Scottish music at it's very best and I hope he reached the hearts of our local children and perhaps inspired some pride in their traditions. Every one of the performers gave their best and the closeness of the setting for such a hoard of talent to be working in made it a very emotional day for me. But I'm an over emotional sentimental fool and I don't mind telling you I was holding back a tear at times with the sheer joy they brought with their music. Holy Wullie also gave a wonderful performance and there was never a dull moment. It was on a par with any international arts event and I would certainly recommend it to become one. The Cuban band La Sonera Calaveras played in the morning and although the sun didn't quite come out their music warmed us through and put everyone in the mood for dancing. 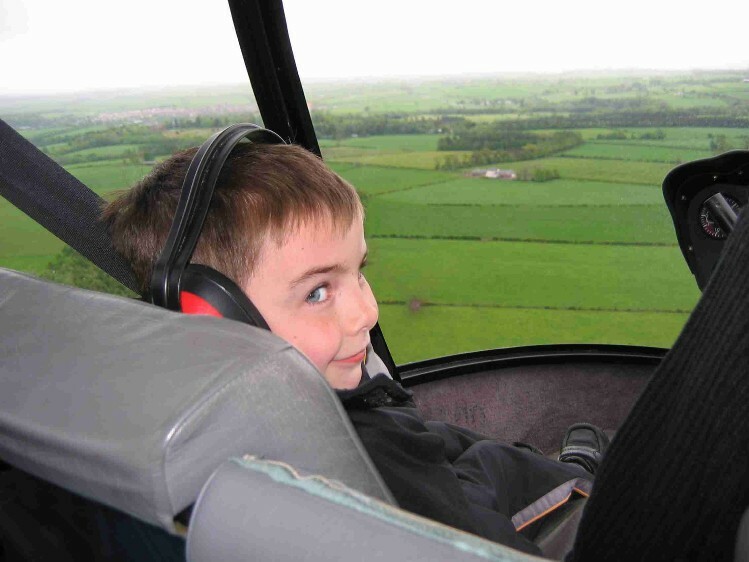 I was disappointed that I never got to see all that was there as Rita had promised to take the grandchildren on a helicopter ride and for Sunny below this was what the day was all about and he wasn't to be disappointed. It was in fact worth the wait in the queue however to see the smile on all the children's faces as they took to the sky, even on a cold wet day. So we missed the pipe band, the silver band the magic show, and I didn't get a picture of Holy Wullie and his Cronie and they were so well turned out and did such a splendid job. 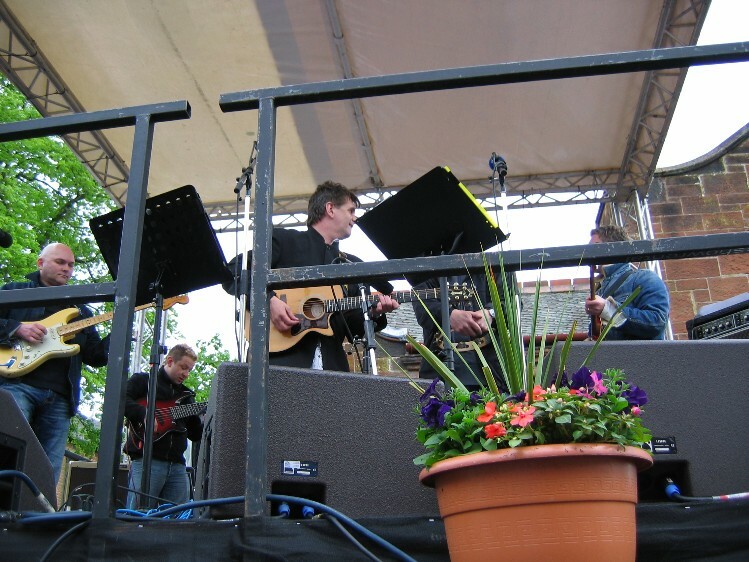 The former Runrig star Donnie Munroe gave the final performance and kept the crowds swinging well beyond the 5pm finish of what was indeed a wonderful day out. But there's always next year to look forward to. Ach Rabbie wad ye no come back, Am wearyin tae hear yer crack, Ay Rabbie we coud music mak tae play thegither, There's ane thing we would never lack and that's for words, An nou the holy fair is back, Ye'd dae yer turn. Am sorry if A stealt yer timin', Or Scotias niffty knack a rhymin', A wad rather sing than tak tae mimin', It's nou ma wey, Forgie me if A pit yer line in, For auld lang syne. To the man who didn't just put Mauchline on the map, he put Scotland and it's people into the hearts of all mankind and established a true sense of humanity and appreciation of our natural world and all it's creatures.